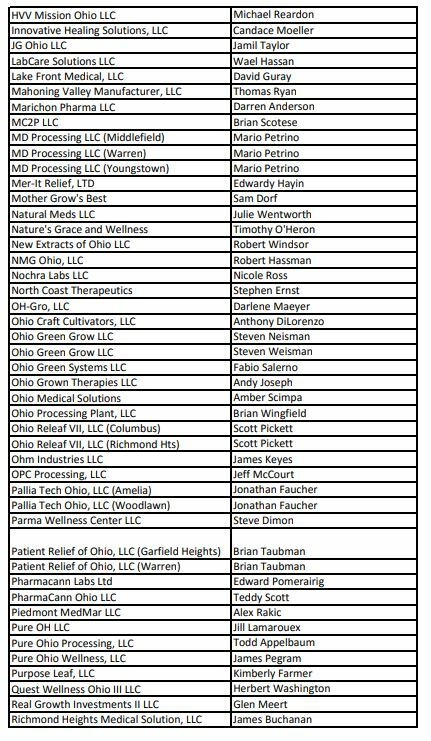 The Ohio Department of Commerce released the names of seven companies that it has granted provisional licenses for processing after having previously selected cultivation and dispensary license holders. 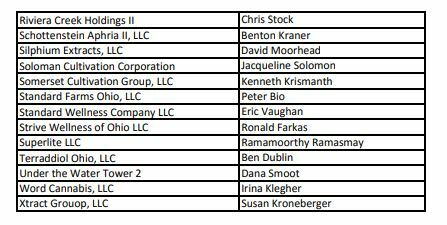 The state is authorized to issue up to 40 provisional licenses. 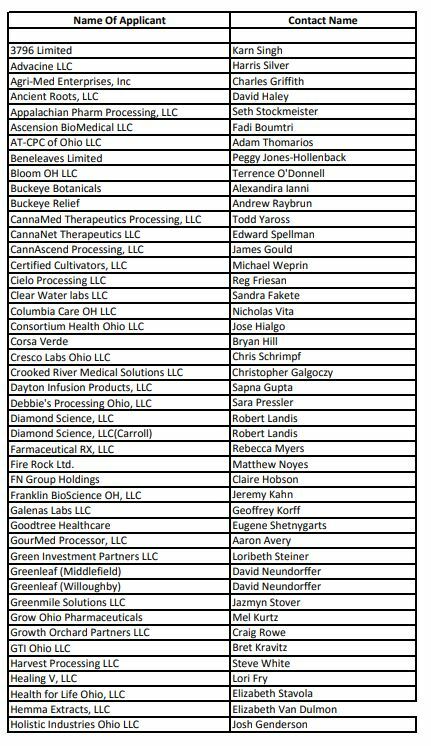 The companies posted to its website include Ohio Grown Therapies, Fire Rock Processing, Ohio Green Grow, Greenleaf Therapeutics, which won multiple licenses but must choose just one within ten days, Grow Ohio Pharmaceuticals, Standard Farms Ohio and Corsa Verde.